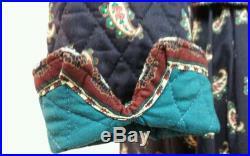 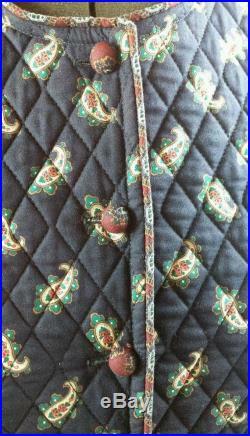 Retired very rare to find navy paisley pattern jacket and skirt setthis is a beautiful vintage 1991 navy vera bradley jacket & skirt set is one of the earlier patterns by vera bradley that displays a sophisticated paisley design on a navy blue background. 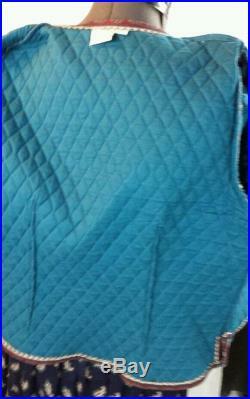 The quilted jacket features a contrasted teal interior, button front, flip up cuffs, vented sides and a collarless style. 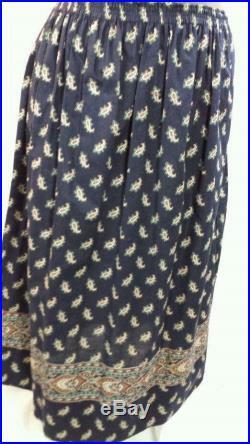 The skirt features a stretch waistband, pockets and is nice flowing modest length. 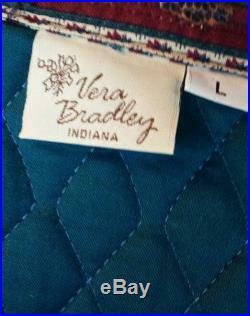 This outfit looked great in 1991 and still looks fabulous #timelessdetailsvera bradley indianavintage 1991 navy patternjacket and skirt setsize l size on tags: l on jacket (no size listed on tag of skirt but it is in set with the large jacket it may be one size fits all given it's stretchy waist)paisley design on a navy blue background quilted jacketcontrasted teal interiorbutton frontflip up cuffsvented sides collarless extra button inside skirtstretch waistband slant hand pocketsflowing modest length. 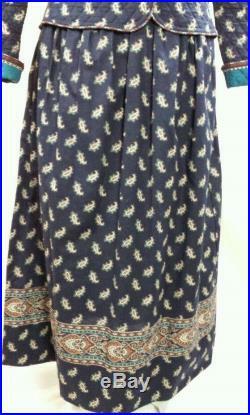 100% cotton machine wash, tumble dry condition: mint condition this outfit is in excellent mint pre-owned condition. 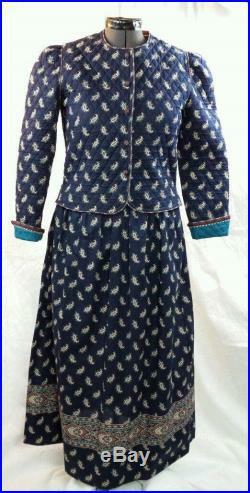 This outfit looks fantastic like newmeasurements (measured laying flat):size on tags: l on jacket (no size listed on tag of skirt but it is in set with the large jacket it may be one size fits all given it's stretchy waist)jacketpit to pit: 19 incheschest: 38 inchesshoulders at widest pt. 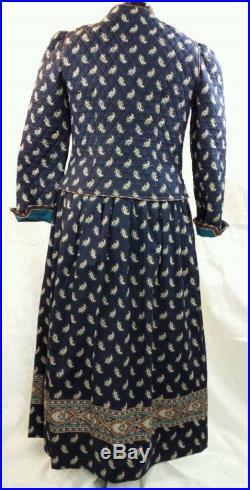 : 15.5 incheslength (neck seam to bottom of tail): 21 inchessleeve length (shoulder seam to end of cuff): 23.5 inches cuffed and 25.25 inches uncuffedsleeve inseam: 15.75 inches cuffed and 17.5 inches uncuffedskirt: waist: 25 inches unstretched (stretches to 40 inches)length: 34.5 inches(could be lengthened another 4 inches).